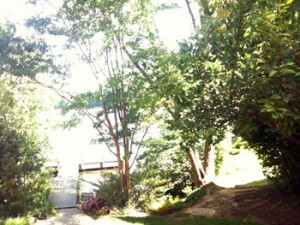 Lake Audubon Terrace in South Reston offers lakeside living and access to wooded nature trails. Lovely Lake Audubon is one of Reston, VA's gems, located in the South Lakes community, just by the intersection of Twin Branches and Glade in South Reston. The homes built around Lake Audubon are worth a look if you love lakeside living, and Lake Audubon Terrace is a good neighborhood to start with. About half of the townhomes are direct lakefront property. These 3-level townhomes have 3 and 4 bedroom models and feature brick and siding. Some of the units have one car garages, and all have two assigned parking spaces (with plenty of visitor parking available). 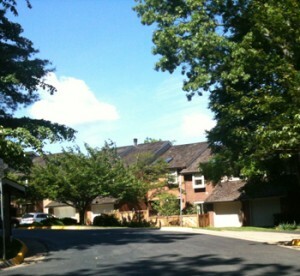 The Cluster was built between 1983 and 1988, and is located on Thrush Ridge Road and Glade Court. Residents have private access to Lake Audubon. Residents have lake access, complete with a private dock. Not only is this neighborhood on Lake Audubon, one of Reston's premier hiking trails (the Turquoise Trail) passes by and the award-winning Walker Nature Education Center is just down the street. Here you're just minutes away from nature and all that the Reston Association trails have to offer. Cluster residents attend Reston's Sunset Hills Elementary, Langston Hughes Middle and South Lakes High School. South Lakes Village Center with it's grocery store and restaurants is an easy walk. See what properties are available in this South Reston neighborhood. Click here.